Bell and a group of organizations, including the NFL, CMDC, ACA and ACTRA have once again requested the CRTC revisit its decision to ban simultaneous substitution (or “simsub”) for the Super Bowl. In an application to the commission, Bell asked for the simsub ban to be suspended for the 2018 game and rescinded altogether in subsequent years. In exchange, Bell said it would produce a special broadcast of all the game-day U.S. Super Bowl ads, and make it available to all Canadian broadcast distributors as a free video-on-demand service. It would also promote the U.S. ad programming with a campaign so Canadians would know the spots were available for free viewing, according to a release. Bell argues that according to research it commissioned with Nanos Research, almost 60% of Super Bowl viewers were unsure whether the products being advertised were available to buy in Canada. In addition, more than 40% were not aware that Super Bowl ads are available in advance of the game itself. Of those who indicated a strong interest in the U.S. commercials, 60% said watching the ads during the game was no longer important to them when they realized they could be watched prior to the game. 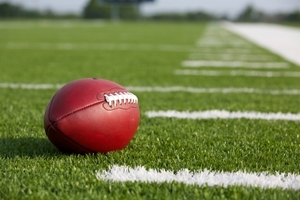 The CRTC first announced its decision to ban simsub in January 2015, stating that the non-Canadian advertising produced for the Super Bowl is an integral element of the event. The ban came into effect for the first time for Super Bowl LI, which took place in February of this year. Following the game, Bell Media said its ratings fell by 39% from the previous year, despite the company placing the sporting event on CTV, CTV Two and TSN. The Feb. 5 game attracted an average audience of 4.47 million viewers, down 39% compared to last year’s audience on CTV (7.32 million). The audience reduction saw CTV ad revenues dip by $11 million, according to Bell Media. Accompanying the application was a separate Bell Media-commissioned report, also released on Tuesday, arguing the commission’s decision has already cost the national economy an estimated $158 million in lost revenues. Based on revenue impacts, said the report, “the Canadian creative community has been deprived of $3.3 million in direct funding and $4 million in promotional time for homegrown content.” The study, which was conducted by Communications Management Inc, also said the decision has cost nearly 500 jobs across numerous sectors. As well as depleting the pot for spending on Cancon, the report said the simsub ban in Canada drove Canadian businesses to spend their advertising dollars on U.S. border TV channels in an attempt to reach Canadian audiences. The transfer of revenue from the Canadian to the U.S. economy undermines government tax policy by driving Canadian ad dollars to U.S. border stations. A spokesperson for the CRTC said the regulator is assessing the application and doesn’t have further comments at this time.